Lighthearted and refined, the Hudson’s careful balance suits a wide range of residential and commercial applications. In conception and construction distinct elements stand out. 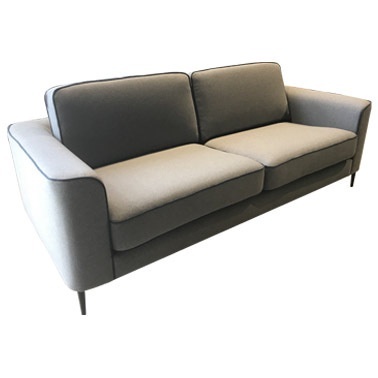 The gentle curves of the geometric design and heavy-duty foam provide good looks and enduring comfort. Hudson is available in a large range of fabrics and leathers as well as wooden or metal legs. also in a range of colours. Please enquire with Casual & Country for more information or a quote.